Parents Magazine has always been one of my favorites. My kids are 10 and 7 years old and I have been getting this great magazine since before they were born. Parents Magazine knows what’s important to moms and dads: raising happy and healthy children in a safe and loving environment. 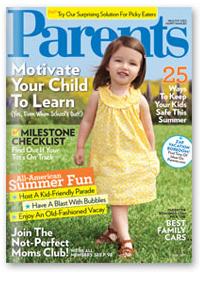 Right now you can get one year (12 issues) of Parents Magazine for just $4! That's just 33 cents an issue! Hurry and head over to the Purex website to grab this deal before it's gone. You're not going to find this kind of deal anywhere else! This magazine also makes the perfect gift for any new or expecting parent! Don't miss your chance to snag this great deal!